Don't miss this great opportunity for Investment or a vacation home. 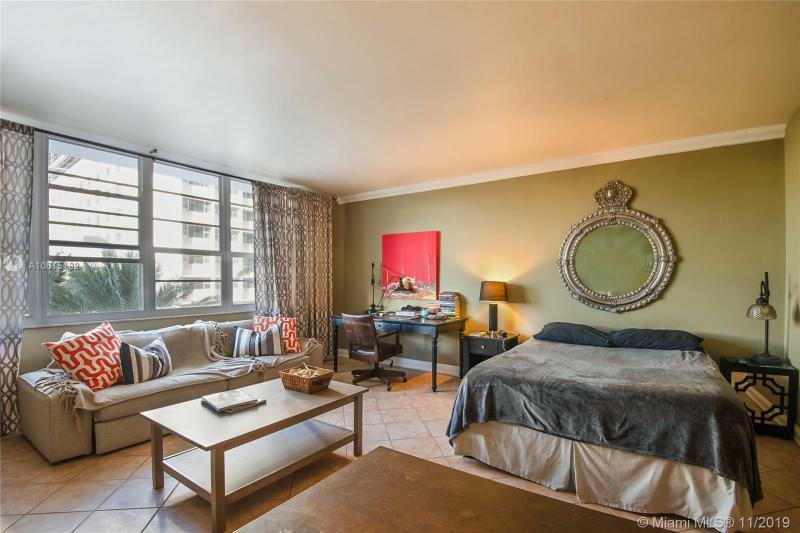 This bright and airy studio apt is located in the famous Decoplage, best located ocean front building in south beach. Walking distance to the most trendy restaurants, shopping stores, hotels and Lincoln road. Across from the Ritz Carlton the unit faces collins avenue and the city skyline. One of the few buildings in South Beach that allow month to month leases or 30 day rentals. This is a full service building with valet parking, 24 hour front desk service, recently renovated gym, pool and lobby. On site management office allows for fast approval. Maintenance fees includes valet parking, AC, water, trash, basic cable and internet.